NASCAR’s top three series take the week off for Easter break. Cup and XFINITY return to action next Saturday in Talladega, followed by Trucks in a triple-header in Dover. Today in LASTCAR history (April 18, 1960): In a race won by the late Glen Wood, Junior Johnson finishes last at historic Bowman Gray Stadium after his #14 1959 Chevrolet loses the engine after 2 laps. The last-place finish, the 8th of Johnson’s career, tied him with Jimmie Lewallen for the most in the Cup series at that time. 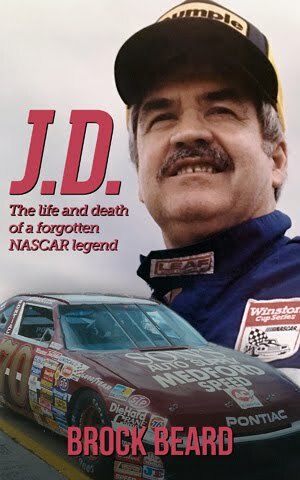 Johnson would take the Cup Series last-place record with his 9th on November 30 of that year and would hold the record for nearly a decade. He was ultimately passed by owner-driver G.C. Spencer, who tied him on October 4, 1970 and passed him on April 16, 1972. Brad Smith finished last for the 14th time in his ARCA Menards Series career in Sunday’s rain-shortened Kentuckiana Ford Dealers 200 at Salem Speedway when his #48 Copraya.com Website Ford finished only 1 of 101 laps before retiring with oil pump issues. The finish came in Smith’s 331st series start and was his first since the 2018 season-finale at Kansas Speedway, three races ago. The Brad Smith team has returned for the 2019 season in much the same fashion as it did in 2018 – at Daytona, the team had a red composite-body Chevrolet, but at Five Flags, the team returned to the white steel-bodied Ford that became synonymous with the team last year. Smith later said in a radio interview that he owns two composite bodies, which will come in handy when the series hits its summer intermediate swing. A month between short track races did little to boost the car count for the series, which featured 20 cars at Five Flags Speedway. The same amount of cars were listed on the preliminary entry list, but only nineteen participated in on-track activity. Will Kimmel, set to pilot a second entry for his Kimmel Racing team, withdrew. The short-track brigade was in full force, however, as powerhouses Chandler Smith, Carson Hocevar, Sam Mayer, Corey Heim and Ty Gibbs stayed in their rides. 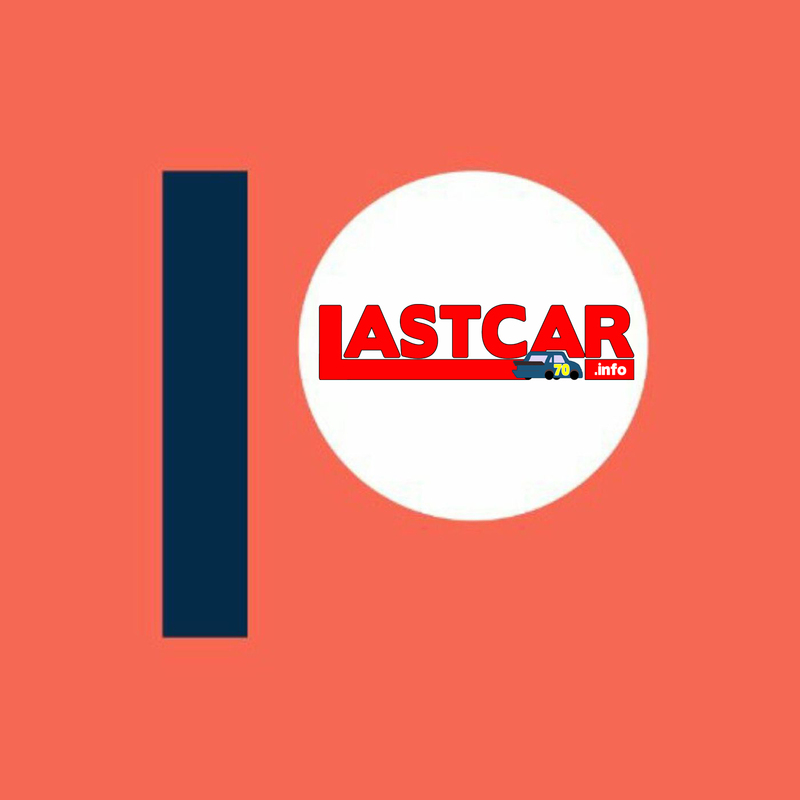 Tommy Vigh Jr. returned to the #10 car in a full-season effort, as team owner Andy Hillenburg confirmed on Twitter over the weekend. Mike Basham again piloted the #69 for Kimmel Racing, and the Basham family patriarch, Darrell, made his first appearance of 2019 in a home race for the team, sporting his familiar #34. Richard Doheny and Morgen Baird filled out the second and third Fast Track Racing entries, and newly-elected politician Alex Clubb brought his #03 for the first of six planned starts in 2019. Young hot shoe Gibbs led practice with a lap of just over 17 seconds, pacing a relatively close practice session. Smith’s completed lap took over a minute, but among cars that ran laps at full speed, Darrell Basham was last with a lap of nearly 19.7 seconds, about 2.5 seconds off of Gibbs’ fast time. Smith was not able to set a time in qualifying, as oil pump issues were beginning to hamper the team’s efforts. Clubb was the slowest car on track during qualifying, trailing the field with a lap of just over 20 seconds. At the beginning of the race, Harrison Burton had to drop to the rear as a replacement driver for Christian Eckes, who was ill for the race. As the #15 car drove through the back of the pack relatively quickly, the racing also came fast among the backmarker cars. While ARCA’s live commentary noted that Smith went to the garage after four laps, official timing and scoring listed the 48 off after only one. Doheny pulled behind the wall after three laps, and the younger Basham followed soon after, turning in after eight circuits. Morgen Baird lasted over thirty laps before his Fast Track Racing machine fell out of the race. The last Bottom Five spot, however, was up for grabs for a while during the race. Clubb, Tim Richmond and Darrell Basham were racing on the same lap for an extended period of time, with Clubb eventually falling three laps behind the other two cars. He stayed there as the last car running until the race was called for rain after 101 of 200 laps. Jeff Green picked up the 116th last-place finish of his NASCAR XFINITY Series career in Friday’s ToyotaCare 250 at the Richmond Raceway when his unsponsored #38 RSS Racing Chevrolet fell out with engine trouble after 10 of 250 laps. The finish, which came in Green’s 521st series start, was his second of the season and first since Texas, two races ago. In the XFINITY Series last-place rankings, it was the 16th for car #38, the 255th from engine trouble, and the 524th for Chevrolet. Across NASCAR’s top three series, it was the 49th for the #38, the 1,066th from engine trouble, and the 1,652nd for Chevrolet. With the finish, Green retakes the lead in the LASTCAR XFINITY Series Championship on a bottom-five tiebreaker with John Jackson, 6-2. Green arrived in Richmond after he was involved in a rare accident the week before at Bristol. Driving RSS Racing’s “start-and-park” #38 Chevrolet, Green busted a radiator hose on Lap 40, sending his car sliding up the gradient banking. Caught in the crossfire was 12th-place qualifier Ross Chastain, whose favorite #4 Chevrolet from the JD Motorsports camp was destroyed in the ensuing pileup. 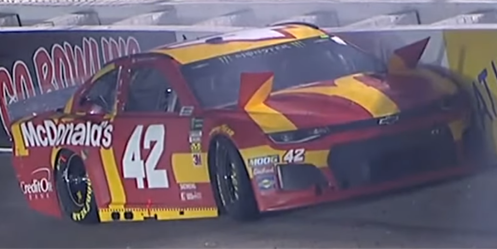 Green pulled behind the wall along with Chastain, the passenger-side door on his own car nearly torn off by the impact. Both drivers were uninjured in the mishap, yet each were left scrambling to get their cars ready for Richmond, less than a week away. There, Green would again be teamed with Ryan Sieg, who welcomed returning sponsorship from Larry’s Hard Lemonade on his #39 Chevrolet, and Brandon Brown in the #93. Brown, who came into Richmond 14th in the series standings, had climbed out of his #86 Brandonbilt Motorsports entry after Mason Diaz signed to drive in a one-off, bringing with him sponsorship from Solid Rock Carriers. To keep Brown in the Playoff hunt, RSS Racing elected to put him in the #93, replacing Josh Bilicki. The #93 would also carry associate sponsorship from both W.G. Speaks and Carrier, as well as the familiar Coastal Carolina University logo seen on Brown’s #86. Green started the weekend slowest of the RSS Racing trio, placing 32nd in practice while Sieg and Brown ran 20th and 21st. Qualifying was rained out, securing Green the 31st spot on points and sending home Josh Williams, swapped into DGM Racing’s part-time car #92 after a sponsorship deal fell through. Nearly sent home was Kaz Grala, who was making just his second attempt of the season in Richard Childress Racing’s #21 Hot Scream Chevrolet. However, a deal was worked out between RCR and Morgan Shepherd, owner-driver of the #89 Visone RV Chevrolet. Although Shepherd was locked-into the field by the rain, he withdrew as part of the arrangement, giving Grala the 38th and final starting spot. Grala would capitalize on the opportunity, challenging for the lead late before finishing 14th. When the race stared, Grala jumped from 38th to 34th on the first lap, shuffling Timmy Hill to last. Hill, who enjoyed a strong 17th-place run in Motorsports Business Management’s #66 at Bristol, was swapped into MBM’s #13 Richie Anderson Memorial / CrashClaimsR.us Toyota, replacing Bristol last-placer John Jackson. The #13 picked up a vibration from the early laps, and Hill pitted after just two laps to change tires. From listening to the team’s radio, the crew apparently did so in the garage area, as Hill lost 11 laps and had to drive around the pace car to return to the track. By the time Hill rejoined the race on Lap 14, Green had been in the garage for four laps. On Lap 23, Hill passed Green, only to return to pit road four circuits later, again citing the vibration. Beliving the issue to be in the wheel bearings, Hill also exited the race. Finishing 36th was Mason Diaz, whose night in Brandon Brown’s #86 ended when the harmonic balancer came loose, stopping him in Turn 2 on Lap 65. 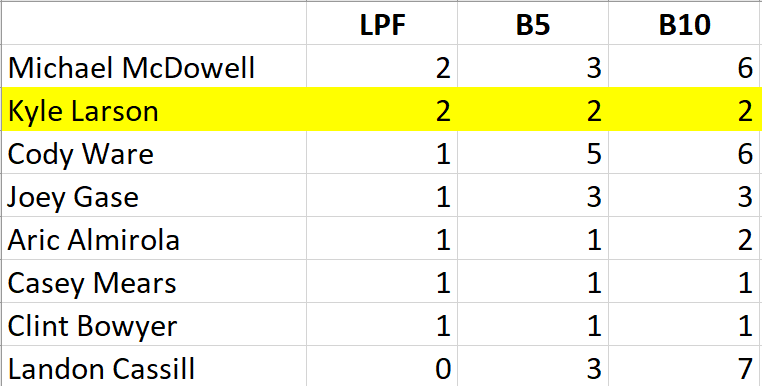 Brown would go on to finish 20th, earning the Lucky Dog at the midway point and finishing on the lead lap. Jeremy Clements finished 35th, an unscheduled stop late in Stage 2 followed by a spectacular engine failure as he headed down the backstretch. Rounding out the group was Chad Finchum, Hill’s teammate in the #42 Smithbilt Homes Toyota. The MBM crew worked hard on Finchum’s brake issue before finally calling it a night in the final laps. 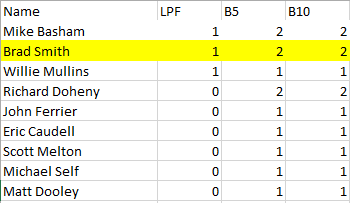 Finchum and Diaz scored their first Bottom Fives of 2019. Meanwhile, Ryan Sieg’s strong start to 2019 continued with a sterling 5th-place finish, a run that caught the eye of crew chief Chad Knaus, broadcasting from the booth for FS1. Ross Chastain, running a backup car following his tangle with Green in Bristol, came just short of finishing 10th when Justin Haley squeezed by him on the final lap. Elliott Sadler, Haley’s teammate, finished 12th in his return to the XFINITY Series with Kaulig Racing. Making his seriee debut, Dillon Bassett matched his brother's career-best 15th-place finish from Texas and earned some screen time of his own in DGM’s #90 Bassett Gutters & More Chevrolet. And Gray Gaulding continued his strong start, running as high as 6th on old tires before settling into 17th, his sixth finish of 17th or better this season. 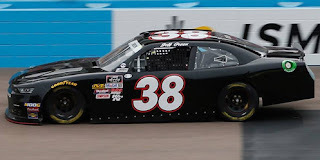 *While this was Jeff Green’s ninth last-place run in an XFINITY race at Richmond, it marked the first time in series history that car #38 finished last at the track. There are 40 drivers entered for 38 spots, meaning that two teams will miss the show. Welcome back Elliott Sadler, who four months after retiring from NASCAR competition will attempt Friday’s race at his home track. Sadler drives the second Kaulig Racing car, a car we last saw finish 4th in Las Vegas with Austin Dillon behind the wheel. Sadler has yet to score a victory in his 31 XFINITY starts at Richmond, but has finished no worse than 7th in each of his last six series starts here. Carl Long shuffles his driver lineup again this week, moving Timmy Hill from the #66 he steered to an impressive 17th-place run in Bristol to the #13 that finished last with John Jackson. 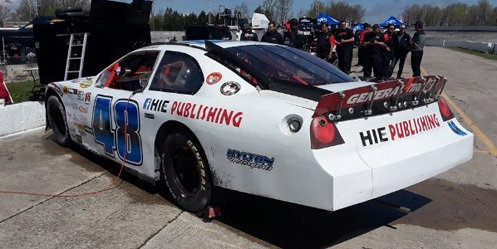 While the preliminary entry list did not show a replacement for Hill in the #66, it has since been confirmed that Colin Garrett will drive with sponsorship from Racing For Heroes. The 18-year-old Garrett, currently 4th in the K&N Pro Series East standings, seeks his first XFINITY Series start, and the opportunity to do so at his home track. Set to make his XFINITY Series debut this week is Tyler Matthews, who made three Truck Series starts for MDM Motorsports and Copp Motorsports, most recently a last-place run in Kentucky last summer. Matthews takes the place of B.J. McLeod, who moves back to his own #99 team this week (see below). Riley Herbst returns to the XFINITY Series for the first time since his series debut last summer at Iowa, where he ran 6th. Then as now, he drives the #18 from the Joe Gibbs Racing stables, taking the place of Bristol’s 10th-place finisher Harrison Burton. Monster Energy will sponsor the Herbst effort. After a frustrating end to his first XFINITY start for Richard Childress Racing, Kaz Grala is back for his second race of the season in the Hot Scream #21 Chevrolet. Grala finished 30th in his lone series start at Richmond in this race last year, one of his last before the JGL Racing team closed its doors. Mario Gosselin’s team shakes up their lineup this week, and in so doing brings their third car, the #92 Chevrolet, back to the circuit for the first time since a DNQ in last year’s Homestead finale. Then as now, Josh Williams will drive the #92, moving over from his most frequent ride in the #36. According to Jayski, the reason for the change is funding as sponsor All Sports Coffee defaulted on payment. In Williams' place in the #36 is a returning Donald Theetge, who we last saw collected in an accident in Las Vegas a month ago. The #90 which Theetge drove in Vegas will instead go to Dillon Bassett, brother of Ronnie Bassett, Jr., who made a pair of starts for DGM this spring. Dillon, who won in just his eighth K&N Pro Series East race at the Motordrome Speedway in 2015, was 8th in the series standings the last two years. 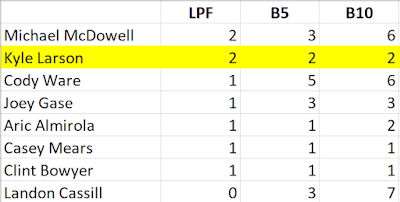 After a strong start to the 2019 season with an unsponsored car, placing him 14th in the series standings 180 markers out of the lead, Brandon Brown will not drive the #86 this week. As announced earlier this spring, Mason Diaz will return to the site of his XFINITY Series debut last September, when he ran 19th for DGM Racing. Solid Rock Carriers continues their sponsorship of Diaz with the #86 team. It wasn't until Wednesday that Brandon Brown landed a ride in Friday's race. Brown will keep his Playoff run alive thanks to Josh Bilicki, who steps aside to let Brown run the #93. With Tyler Matthews driving his car #15 for JD Motorsports, B.J. McLeod moves to his own #99, taking the place of Tommy Joe Martins, 26th in Bristol. McLeod himself ran 18th in the #15 last Saturday. There are 37 drivers entered for 40 spots, marking the eighth consecutive short field in 2019. It’s the fewest starters for a Cup race at Richmond since March 6, 1994, when 37 drivers took the green flag – after 46 cars attempted to qualify. Among those sent home from that race was Loy Allen, Jr., his first of 12 DNQs that season, and just two weeks after starting from the pole in the Daytona 500. The #27 Chevrolet that Jay Robinson’s team withdrew along with Reed Sorenson at Bristol is not entered this week in Richmond. For the second straight week, Cody Ware was on the preliminary entry list as driver of the #51 but has been swapped out. Jeb Burton returns to the Ware team for the first time since he drove the #52 at Martinsville. 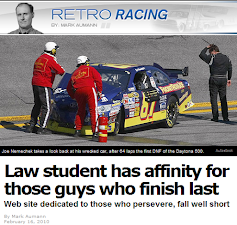 He takes the place of Gray Gaulding, who ran 36th after engine trouble in Bristol. Easily the most head-turning paint scheme this weekend will belong to Joey Gase, who returns to action for the first time since Fontana as driver of Carl Long’s Cup car. After approval by NASCAR, the #66 Eternal Fan Toyota will be covered with the artwork of the late Sam Bass, the prolific motorsports artist who passed away on the eve of this year’s Daytona 500. 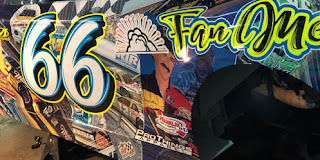 Much of the artwork displayed on Gase’s ride is from Bass’ many program covers used at the Richmond Raceway, including his iconic debut of the Stavola Brothers’ Miller High Life paint schemes for Bobby Allison and Bobby Hillin, Jr., the first Cup paint schemes Bass designed in 1988. Superior Essex, a brand that in recent years has sponsored many of J.J. Yeley’s racing efforts, will rejoin Derrike Cope’s team as sponsor for the first time since last year’s spring Bristol race. 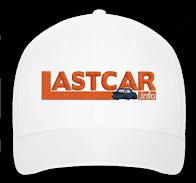 Landon Cassill, 26th in Bristol, remains the driver. We’re now less than a month away from the return of the Truck Series in Dover. Among the expected entrants is Hill Racing’s #56, which Timmy Hill qualified on time for the team’s debut in Martinsville. Today in LASTCAR history (April 11, 1998): Dennis Setzer picks up the first last-place finish of his NASCAR XFINITY Series career in the Galaxy Food Centers 300, the 42nd and final XFINITY race held on the historic Hickory Motor Speedway. Setzer was making a one-off start for team owner James Finch in the #4 Lance Snacks Chevrolet, a car driven for much of the year by Jeff Purvis. After qualifying 15th in the field of 31, Setzer was collected in a multi-car pileup after 59 laps. Later that month, Setzer would make his Cup Series debut in a second car from the Bill Elliott Racing stables. His #89 McDonald’s McRib Ford Thunderbird ran 19th in the DieHard 500 at Talladega.